Rachel's first job in the Rhode Island transportation industry was a taxi driver, so she is very familiar with the common concerns of typical passengers, especially those heading to and from the airport. Rachel's goal was to start her own Rhode Island transportation service with an emphasis on providing exceptional customer service. In 2011, she started Rachel's Big City Transportation, a fully licensed and insured sedan service specializing in airport transportation in Rhode Island and in surrounding states. Although Rachel has a dedicated group of drivers on her team, you'll still find Rachel behind the wheel. RBC Transportation provides reliable service to visitors and residents of Rhode Island and surrounding states, including Massachusetts and Connecticut. Many of the sedan and limo services based in the New England area charge way too much for similar services. Rachel's Big City Transportation is the exception to the industry norm. One of the reasons RBC Transportation has become so popular throughout Rhode Island and the surrounding states is the fact that customer service is always the #1 priority. Call Rachel's today at 401-219-9187 to make a vehicle reservation to take you to and from your destination in affordable style and comfort. The professional drivers at Rachel's Big City Transportation are dedicated to providing courteous and friendly service to make you as comfortable as possible while traveling. When you contact RBC Transportation,you have a choice of a few vehicles. 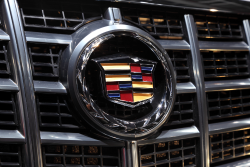 The current list of vehicles include a crossover, SUVs & a minivan. The “Crossover” is ideal when your party is just yourself or a few other people with minimal luggage. If you have a larger group with a lot of luggage or packages, the “SUVs / Minivan” are your best bet. 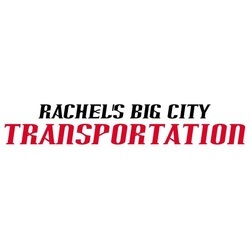 Contact Rachel's Big City Transportation at 401-219-9187 with any questions you have about transportation service. If you had a wonderful experience with Rachel's, please spread the word among your friends.